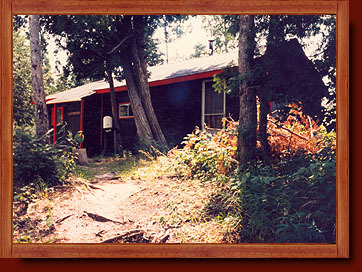 Island Outpost Camp is a boat-to outpost camp located 15 miles south of the main lodge in the area of the lake called the Ivanhoe River. The outpost is located on a beautiful 4-acre island and surrounded by some of the most spectacular scenery in the area. The fishing in this part of the lake is awesome. You will have access to many miles of shoreline with really interesting structure, which attracts big fish. 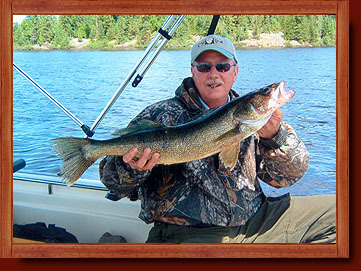 Walleye, Northern Pike and Jumbo Perch are all common and easy to catch. In the spring there is a good population of Whitefish in the area. This cabin sleeps up to 8 people very comfortably with ample room to store your gear.